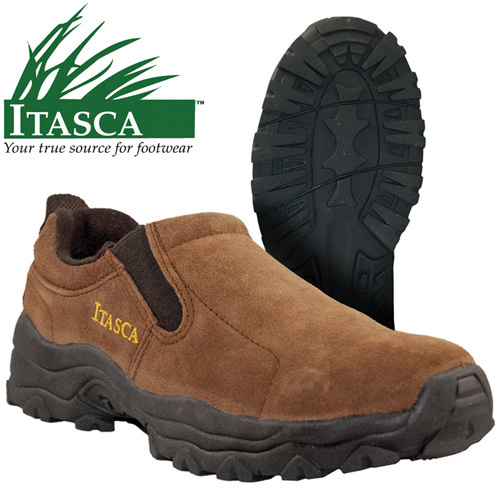 Slip your feet into a comfortable pair of Searay Series shoes from Itasca. Rugged and tough construction with all the comfort you crave. This innovative design offers superior protection from the elements, with an emphasis on comfort and styling. The suede leather and nylon uppers provide a smooth texture, and the slip-on design makes the Searay's an easy choice for everyday activities. Perfect for around the house, in the yard, or trekking across town. Features include: traction rubber outsole, removable comfort insole, and 1000-denier Cordura® uppers. Color: Brown. Men's size 12.